Judi Strauss, Ph.D., E.A., owner and principal of Strauss Financial and Tax Service, has offices in Downers Grove and Chicago, Illinois. 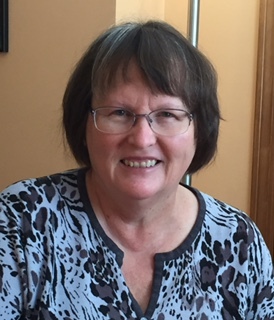 For more than 35 years, she has provided personalized income tax and year-round financial planning services to individuals and small businesses, many of whom have been her clients since she began her business. Judi holds a Ph.D. degree in Human Resource Management from Union Graduate School and earned her master's degree in counseling from Harvard University and well as a B. A. from the University of Pennsylvania where she received her Phi Beta Kappa key. She is a member of the National Association of Tax Practitioners, the Illinois Association of Tax Practitioners, and the National Association of Enrolled Agents. As an Enrolled Agent (E.A. ), Dr. Strauss is among the professionals who are licensed to practice before the Internal Revenue Service. 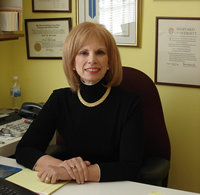 Dr. Strauss' multi-dimensional expertise serves her clients well. In addition to business, tax and financial planning services, she was professor of Human Resource Management at Benedictine University in Lisle from 1986-2001. She also served on the faculty at George Williams College for 18 years where she co-developed its Graduate Business Program. A popular speaker and author, Dr. Strauss has written many articles on taxes and financial planning for various publications. She is currently the Tax and Financial Expert for Life Matters Media (www.lifemattersmedia.org) helping individuals and families make careful and data driven end of life decisions. In addition, she publishes The Strauss Report, a financial newsletter filled with tax and investment tips for clients and subscribers. Beth Austin holds a B.S. degree in Data Processing from Ferris State College and has held both Certified Software Test Engineer and Certified Software Quality Analyst certifications. Previous experience includes programming and software quality assurance, most recently at CNA Insurance and then with her own software consulting business. Beth joined Strauss Tax Service in 2015 as office manager. She and her husband live in Woodridge. Besides keeping Judi on target, Beth enjoys gardening, cooking, sewing, and quilting. "The basis of lifelong financial planning is professional and personalized tax preparation."